A story about young lovers is not a new thing in the Hollywood. You often hear about young couples falling in love. Just like that, the love of young stars Kylie Jenner and Tyga is still reluctant to be the true one because of their uncountable breakups. The couple seemed to be perfect for each other even when they had numerous fights and incompatibility. But, they have now broken up. Well, what is the main reason for them to drift apart from each other? Let's find about this young love! The youngest sister of Kardashians clan, Kylie happened to meet Tyga for the first time in pre-Thanksgiving holiday dinner where Tyga spent the dinner with the whole Kardashian family. In February 2015, Tyga posted his photo with Kylie on Instagram. Adding more to the evidence of their love, Kim's husband, Kanye West announced on the radio show that "they(Kylie and Tyga) love each other". Also Read: Kylie Jenner and Kendall Jenner becoming popular through TV Show "Keeping Up with the Kardashians"
In April 2015, Tyga revealed a tattoo with Kylie's name on his elbow. 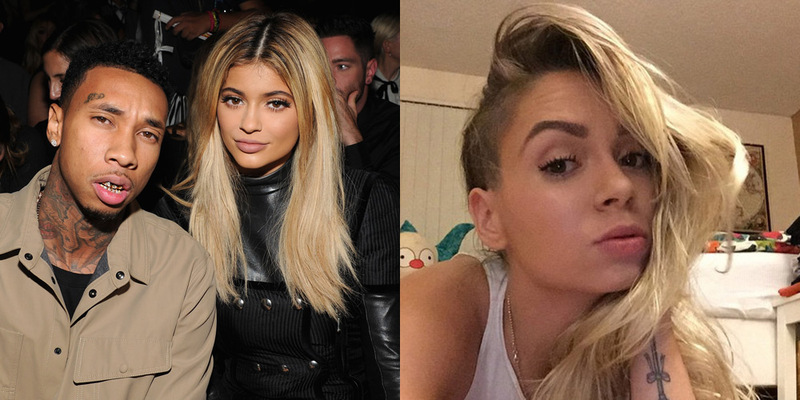 On August 2015, on the occasion of Kylie's 18th birthday, both of them publicized about their relation. 19 years old, Kylie and 27 years old, Tyga fell in love despite their huge age gap. Kylie stated in public that he was her first true love ever. Showing his immense love for Kylie, Tyga gifted her expensive Ferrari 458 convertible. Sadly, this duo is not together anymore now as it is confirmed that Tyga has moved into a new home in the Hollywood Hills. He was reported partying nonstop and there was no sign of Kylie. Well, the reason that's coming to us is that Kris persuaded Kylie to break up with Tyga. Kris along with the other family did not frankly approve of their relation in the first place because of the age gap between Kylie and Tyga. It was also reported that Kylie needed space as Kylie had been partying most of the time. The couple's on and off relation have topped the record and their breakup is hard to believe as they get back together after every fight. Their first break-up occurred in November 2015 (on Tyga's 26th birthday). But later things worked out and they were seen together in the 2015 American Musical Awards. Again, on May 2016, they split up while Tyga was rumored to be cheating on Kylie with the Brazilian model Annalu Cordoso. But, again they soon got together and were seen with each other in June. Blac Chyna is also one of the main factors that affected the couple's relationship. Before falling in love with Kylie, Tyga was already married to Blac and they even had a son together named King Cairo Stevenson. The interesting part is that Blac Chyna is now already welcomed to the family after being linked up with Rob Kardashian. They dated each other in January 2016. Now, the couple has a baby together and they are engaged. In 2011, in her early teens, Kylie was rumored dating Cody Simpson. Although this made the news headlines, they did not confirm about their relation. Back in the spring of 2013, rumors of Kylie and Jaden Smith love affair spread while they were spotted in the movie theater and also in Kim's wedding. You guys surely know him as he is the son of the renowned actor, Will Smith. She was seen hanging out with Justin Beiber and rumor started that she was dating him. The news took the major attention when Selena Gomez unfollowed Kylie on Instagram. Then her affair rumor with Miles Richie got viral which lasted from July 2014 to September 2014. Tyga was first linked up with an American rapper and singer, Kiely Williams in 2007 that lasted for one year. Then again he was linked up with Chanel Iman till 2009. Then he had an affair with an American actress Logan Browning for almost three years from 2009 till 2012. He was then in a relationship with Blac Chyna in 2012 to 2015 with whom he got engaged, but their relation also could not last longer. If we take some time to look at the history of their relationship we could find that they had always taken some time to reset the relationship and eventually got back together. So, for now, all you can do is pray and wait for them to be together even though the wall between them is lifted up so high. 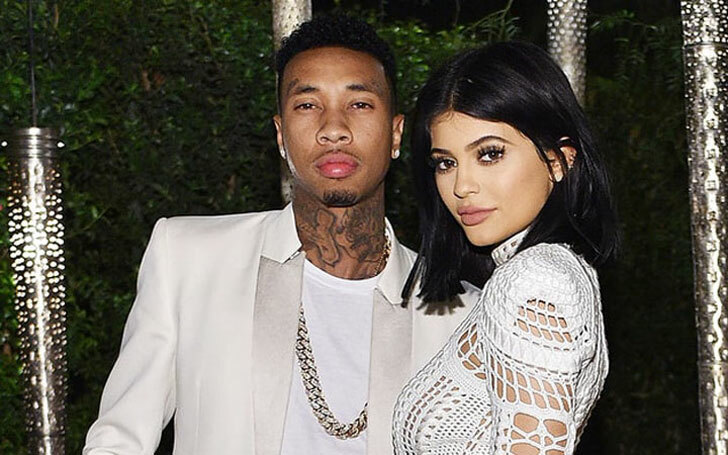 We hope the relationship of Kylie and Tyga would get back in the same place. Finger crossed! !